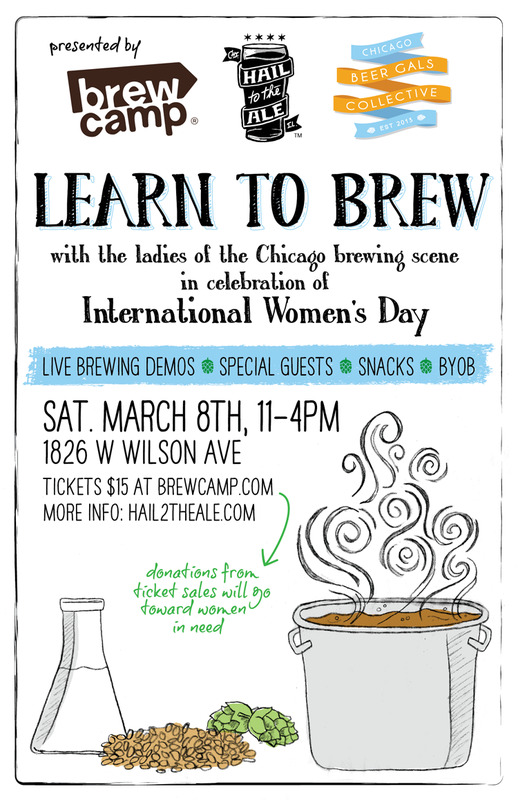 In celebration of International Women's Day on March 8th, Hail To The Ale and Brew Camp will be taking over the classroom for a day full of demos and fun with ladies from the Chicago brewing industry! *This event is open to everyone - men, women, kids - the more the merrier! This event is curated in collaboration with Brew Camp, Hail To The Ale, the Chicago Beer Gals Collective and the fine ladies of the Chicago brewing industry!